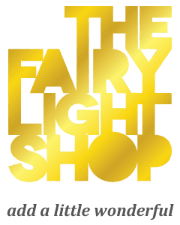 Welcome to The Fairy Light Shop, an online retail store that specialises in the delightful and the decadent, the festive and the fabulous. Whether you are looking to add more to your indoor or to adore your outdoor, let The Fairy Light Shop help you turn your favourite spaces into enchanting places. From Christmas to christenings, works do’s to rainy day blues, we at the Fairy Light Shop believe life needs to be celebrated, no matter what the occasion. And our beautiful lights can help you to do this by lifting your spirits and making any space a place that you will want to spend more time in. The Fairy Light Shop has searched the globe to find this range of lights and lanterns, hand-picking only the best to bring to you. All of our lights adhere to the strict Australasian regulations and are backed by The Fairy Light Shop One Year Guarantee. We hope you enjoy our range of gorgeous lights and lampshades! Do make sure you visit us regularly or join us on Facebook, Pinterest and Instagram to keep up-to-date with changes to our range.